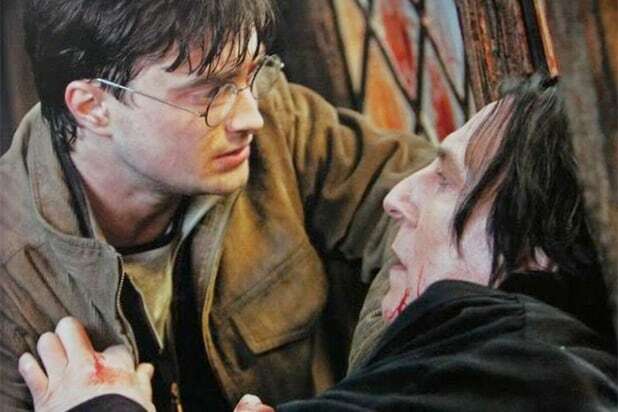 Severus Snape--the "Harry Potter" filmsHogwarts Potions master made life a little harder for Harry. 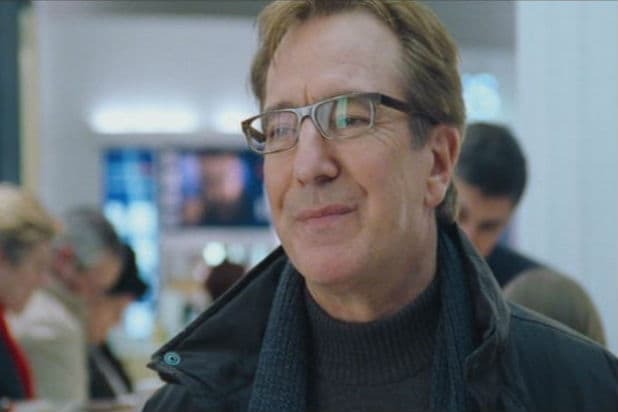 Harry--"Love Actually" (2003)Rickman played a married man who becomes infatuated with his secretary in this beloved rom-com. Sheriff of Nottingham--"Robin Hood: Prince of Thieves"Rickman overcame Kevin Costner's lack of a British accent in this tale of the hero of Sherwood Forest. Alexander Dane--"Galaxy Quest" (1999)Rickman played a British actor reduced to rehashing a role from a sci-fi series in this "Star Trek" spoof. Judge Turpin--"Sweeney Todd" (2007)Rickman was a villainous judge facing Johnny Depp's demon barber in this Tim Burton adaptation. Colonel Brandon--"Sense and Sensibility" (1995)Rickman played the honorable military man and love interest of Kate Winslet in this Jane Austen adaptation. 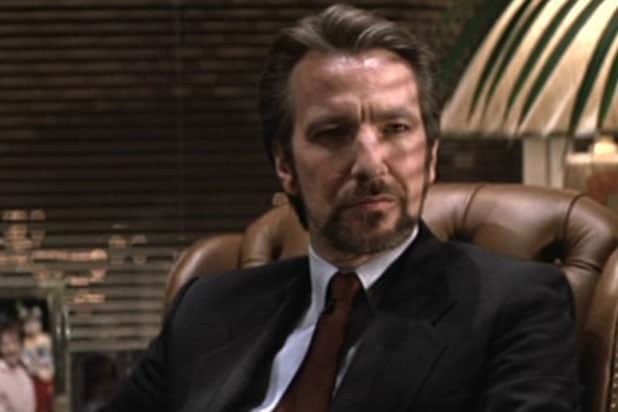 Metatron--"Dogma" (1999)Rickman was an overworked angel in Kevin Smith's religion-focused comedy. Grigori Rasputin--"Rasputin" (1996)Rickman won an Emmy and a Golden Globe for his portrayal of the Russian mystic in this HBO biopic. Dr. Alfred Blalock--"Something the Lord Made" (2004)Rickman teamed with Mos Def in a look at the men who invented bypass surgery. Jamie--"Truly Madly Deeply" (1990)Rickman reprized his stage role in this story of a couple that not even death could separate.